Free Children Samples • Archives • Page 2 of 2 • Hey, It's Free! I was a nerdy, smart kid with my nose perpetually in a book and that trait carried over into adulthood. I'm the guy at the end of the bar more interested in reading my Kindle than socializing with strangers. Yet I've never been offered freebies based on how much I read or how smart I am! Oh, to be a kid again. I should note I started this post in May, but kind of lost track of time 🙂 No worries though, as all the offers below should still be active for the rest of this summer or beyond. 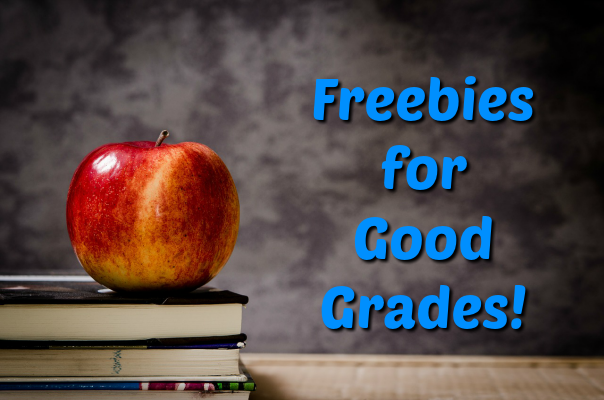 There are a lot of sites with dated lists on freebies for good grades, so I only included offers I could 100% verify. Cheryl's Cookies – As of 2017, their new program is called Cookies for A's. K-8th grade students can enter for a chance to win cookies for their A's. Simply upload your students report card here. At the end of every month through out the school year, they will randomly choose 5 lucky winners who each receive a box of cookies AND an extra box of cookies to hand deliver to their favorite teacher! Applebee's – While not quite nationwide, they confirmed on Twitter that it's up to your local Applebee's as to whether or not they give out freebies for good grades. Baskin Robbins – They also confirmed on Twitter that giving away free scoops is “at the discretion of each franchise owner.” So call your local creamery! Chuck E. Cheese – Anybody can print their Super Student Award 🙂 It's a redeemable certificate for 10 free tokens per day, however a food purchase is required. Jason's Deli – They replaced their old JDPickleCards offer with a new Kids Cash system. Kids under 12 got a free kid's meal at participating locations. Kudzoo – Download their app either on iOS for iPhones or Google Play for Android. Students aged 13 or older can submit up to 5 report cards a year and earn Kudzoo cash. This can be redeemed at local stores, restaurants, and more. Pizza Hut – Each marking period, any child who has 3 A’s or the equivalent thereof, will receive one Personal Pan Pizza and a small soft drink or carton of milk by presenting his or her report card to the manager. This offer is good for Elementary and Middle School students. Dine-in only. Students must be present and the original report card must be presented. Available at participating locations. I'll keep this list updated as I find new offers, so if you find anything I missed, please let me know in the comments! Children, Holiday. This post may contain affiliate links. See my disclosure policy for details. Enfamil is giving away free 10oz. 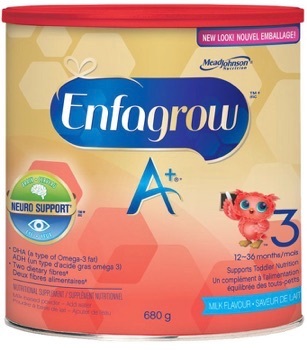 Enfagrow Toddler Next Step baby formula. I think this is an enfantastic offer for enfanew parents, but let's not overlook the important questions here. Why does Enfamil name all their enfaproducts with the same prefix. It's enfaweird. This freebie was originally posted on Dec 2, 2008 (!!!) and is available again. I could have sworn I'd posted this free TNT Fireworks Club offer since I distinctly remember getting it a year ago, but I guess I never did. I've even still got one of the stickers on my old laptop. There's also a poster, magnet, and some tattoos that come with this, but no fireworks unfortunately. I was looking forward to getting a stick of TNT and blowing something up like they do in the cartoons. The free MLK Day promotional items offer is back. I take it the holiday is fast approaching? I used to be far more knowledgable about federal holidays when I was in school. I still have my door hangers from last year. This might be a little tricky for some, so here's what you do. 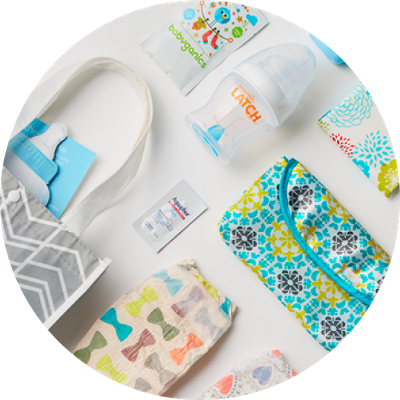 Check the items you want, then add them to your cart. Click your cart near the top middle of the screen and start the checkout process. It'll ask you to register a free account and then once you do so, you'll be taken back to the registration screen. Turns out that doubles as the login screen. Login to your account and just hit submit. Children, Music. This post may contain affiliate links. See my disclosure policy for details.